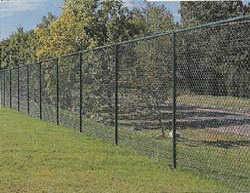 We carry many different chain link fencing styles, gauges and colors to fit your needs. From light duty dog enclosures and kennels to heavy industrial specifications, we can help you get the job done quickly and professionally. 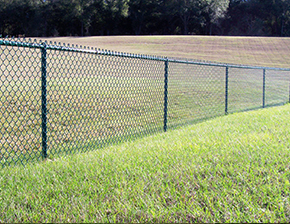 CT chain link fencing, also known by some as cyclone fence, is one of the most popular choices of fence for both light residential to heavy commercial fence applications. 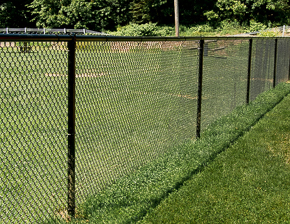 Great around pools and backyards, chain link fence is one of the most practical styles of fence, relatively easy to install, and very cost effective.